Louse Dyson is responsible for launching the careers of some of today's top models with disabilities. We receive regular media opportunities from photographers, magazines and newspapers asking for people, so we have lots of opportunities to give exposure to our models - when organisations need someone, they come to us. The name "VisABLE" is synonymous with the highest professional standards and integrity in the industry. 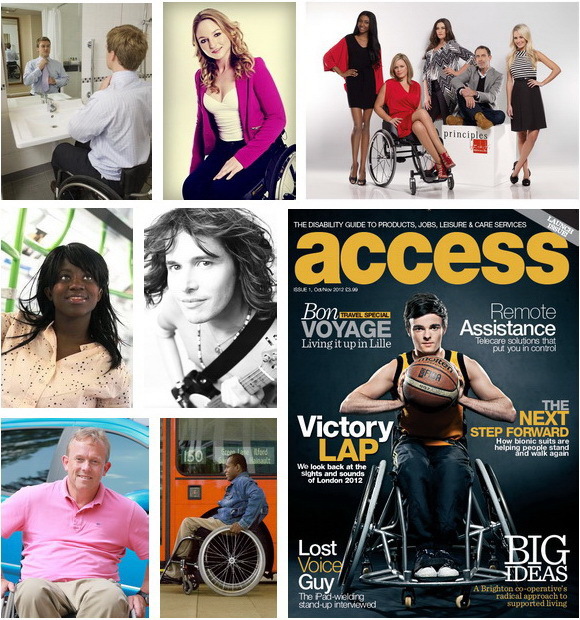 We created the market, as the first agency in the world to specialise in finding work for models with a range of disabilities. * We provide you with the opportunity to be seen by the world's leading photographers. * We negotiate the best contractual terms for you. * We ensure good professional fees - we make sure you get what you're entitled to. * We give you with the best advice, gleaned from 40 years experience in the business. * We provide coaching to help you get the work. * We help you with advice on achieving good photos - while avoiding huge expense. * We ensure that clients are aware of your individual needs and access requirements. * We help you build a good professional portfolio. * We provide you with a Profile page where you can upload your pictures, and you can update them yourself anytime. We are delighted to accept applications by parents on behalf of their children - if your child wishes to find modelling work please complete our application form. If you would prefer to apply without telling your child to avoid disappointment, please make us aware of it on our application form.